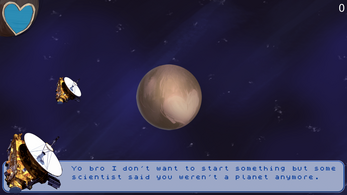 When Pluto found out it had been declassified as a planet, it didn't take the news lightly. Now, it's out for revenge against the scientists who stripped it of that title. 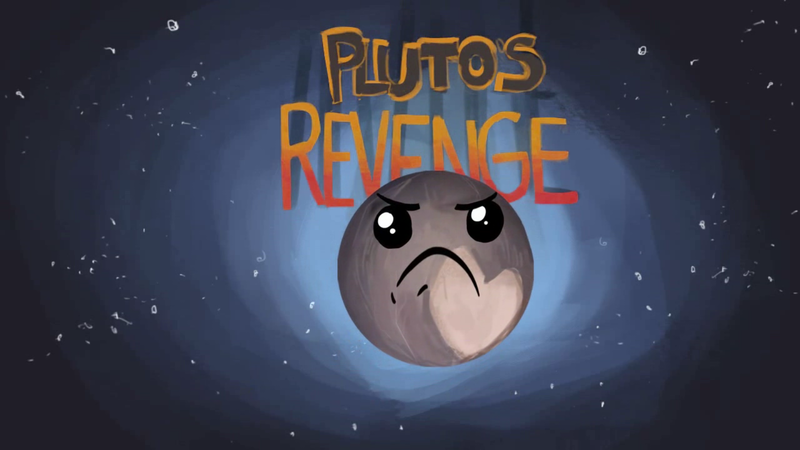 Play as Pluto and help it clear its orbit and clear up its confusion about its place in our solar system. 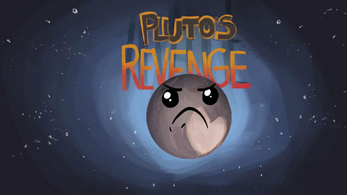 Pluto's revenge was made as part of the ROM 's Space Rocks Game Jam, which happened October 2-4 2015. 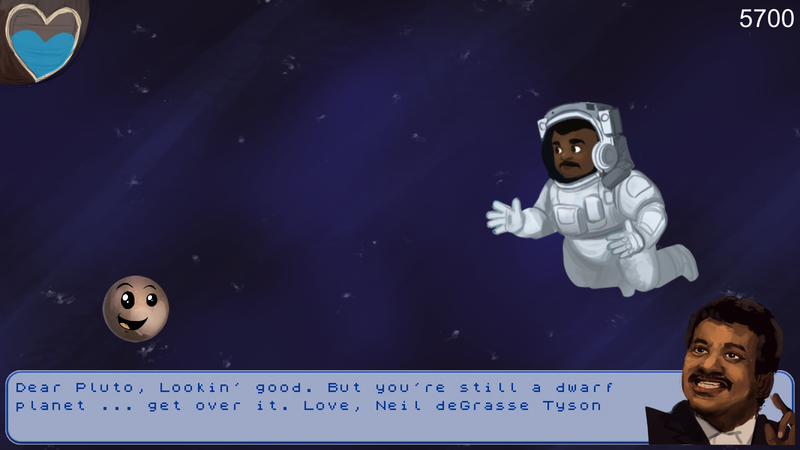 The goal of the jam was to make a game that explored a concept relating to one of the ROM's space and/or geological exhibits, and to try to make it fun, engaging, and informative. The ROM provided access to experts in various related fields, and allowed us to explore their exhibits for inspiration. 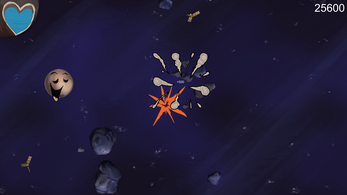 The game plays as a sort of side-scrolling shooter. Your goal is to navigate the debris in your orbit so you can confront the scientist you believe is responsible for revoking your role as the ninth planet in our solar system. 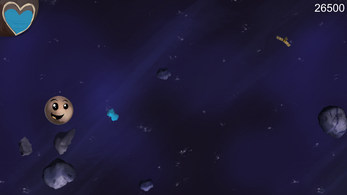 To do this, you can move up and down by holding the right mouse button and dragging. You can also launch a small asteroid from your orbit by using Pluto's gravity; to do this, hold down the left mouse button and draw a circle around Pluto to gain velocity, then release the left mouse button at the right time to send the asteroid on it's way. 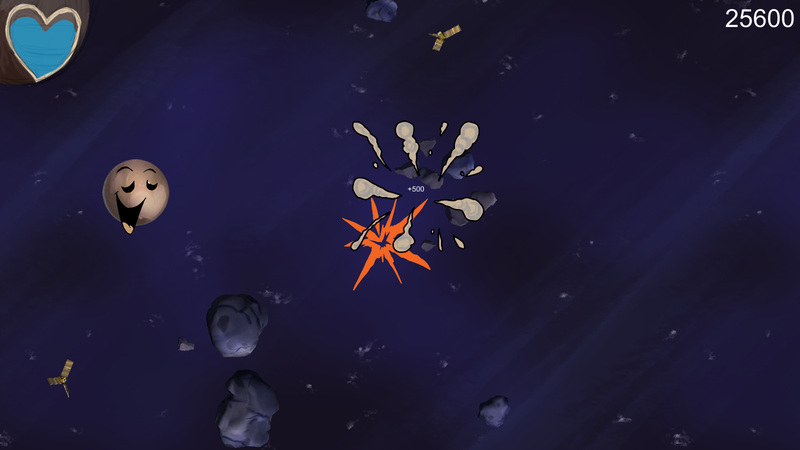 Feedback, comments, suggestions, and bugs can all be reported to @TheAngrySquids, or theangrysquids@gmail.com. We hope you enjoy! Download & extract the zip, run the .exe with the Data folder in the same directory.